A Rosebud local, Maddy qualified from Victoria University in 2017 with a bachelor of Clinical Sciences and a Masters in Health Science (Osteopathy). Maddy treats a wide variety of conditions and has a keen interest in treating lower back pain, headaches/migraines and upper limb complaints. She has experienced firsthand how life altering injuries can be and finds it most rewarding to help people get back to their regular activities and optimal functioning. 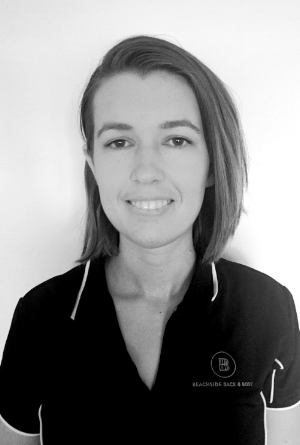 Maddy endeavours to tailor her treatments to suit each individual patient and uses a broad range of techniques that include soft tissue techniques, joint articulation, manipulation, muscle energy techniques as well as indirect techniques and rehabilitation exercises. She is also qualified in dry needling. Outside of work, Maddy spends her time in the outdoors fishing, hiking, gardening and practicing archery.